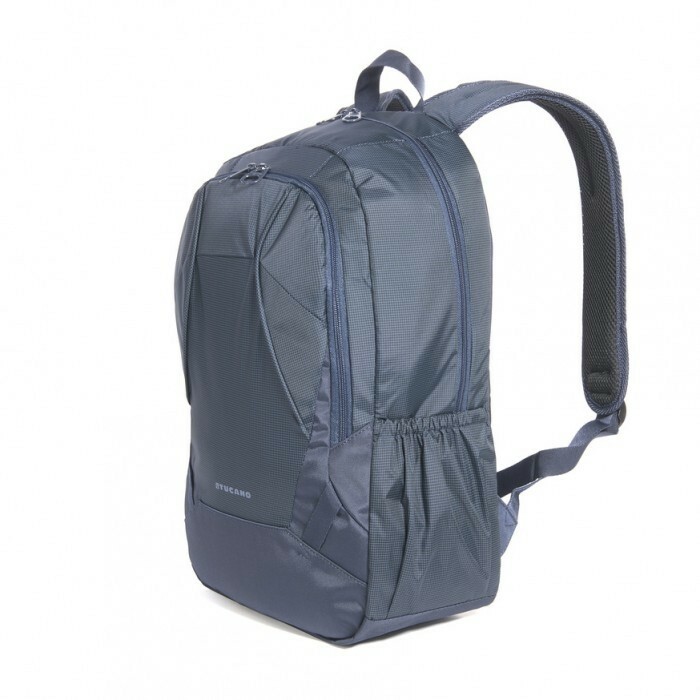 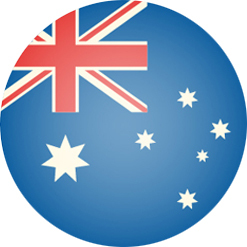 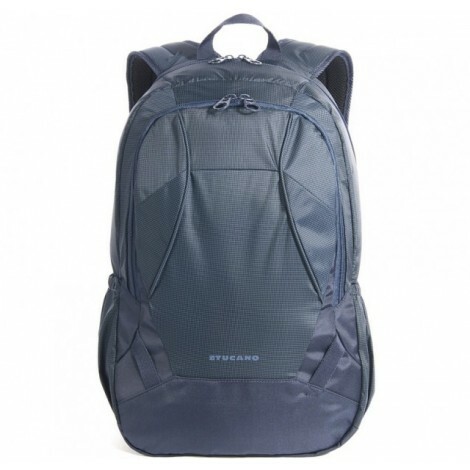 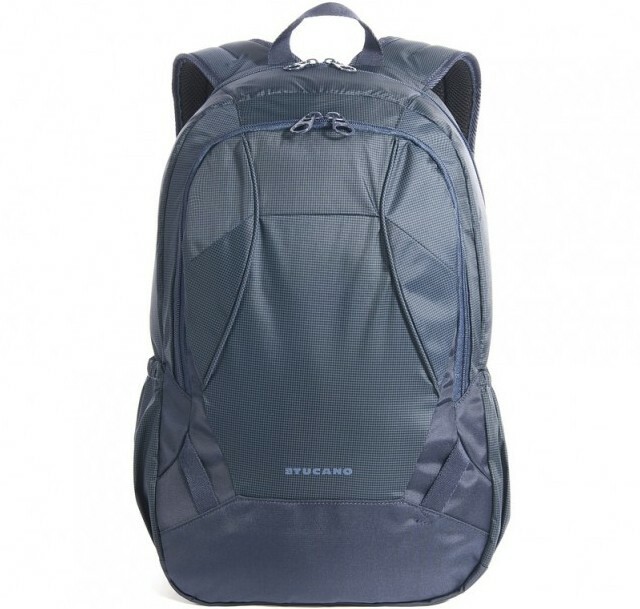 Large, compact, urban-looking backpack, suitable for both students and professionals. 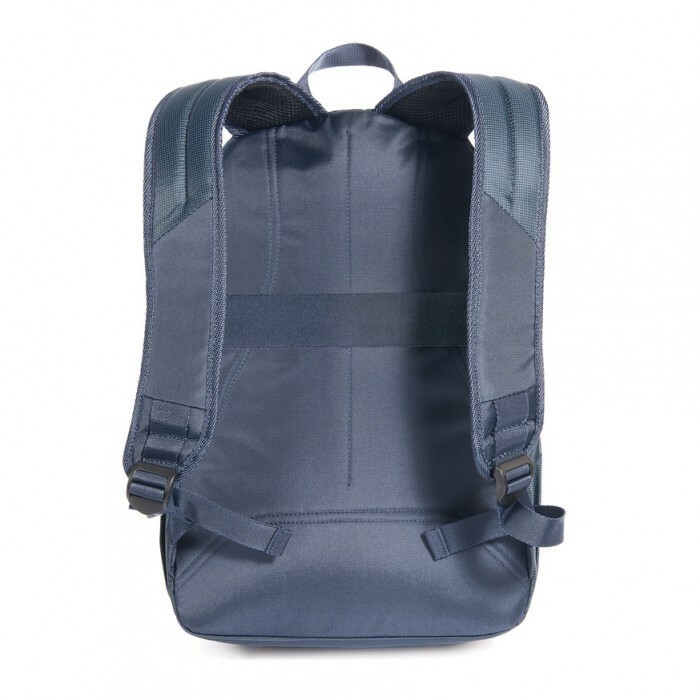 The exterior is the result of combining two different materials, nylon and polyester, which heighten the technical aspect of the product. 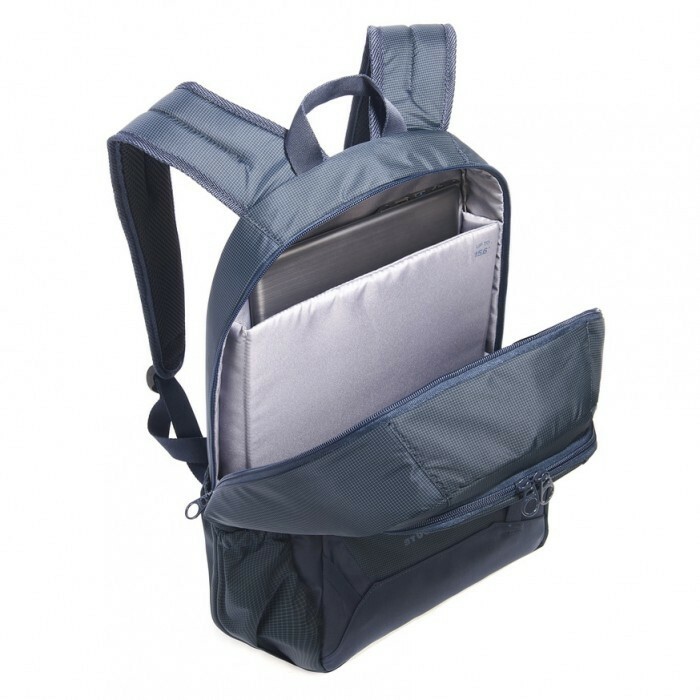 Inside the main compartment is a section purposely padded to protect a Notebook (up to 15.6") from any impact. 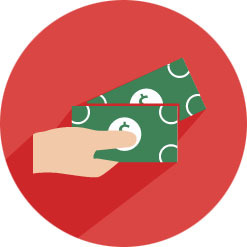 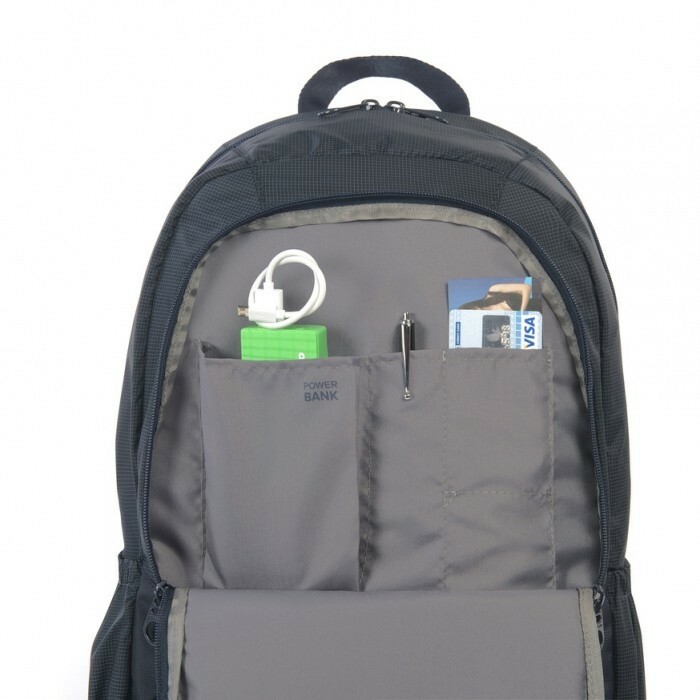 The front compartment is equipped with a retainer organised into specific pockets for your Smartphone (up to 5.5"), Power Bank, pens and business cards. 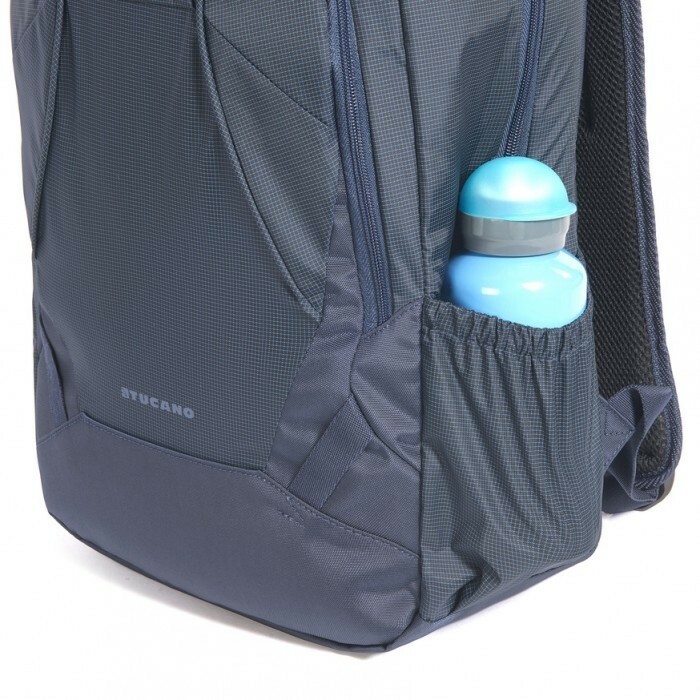 On the sides of the backpack are two convenient mesh pockets for carrying your water bottle and umbrella. 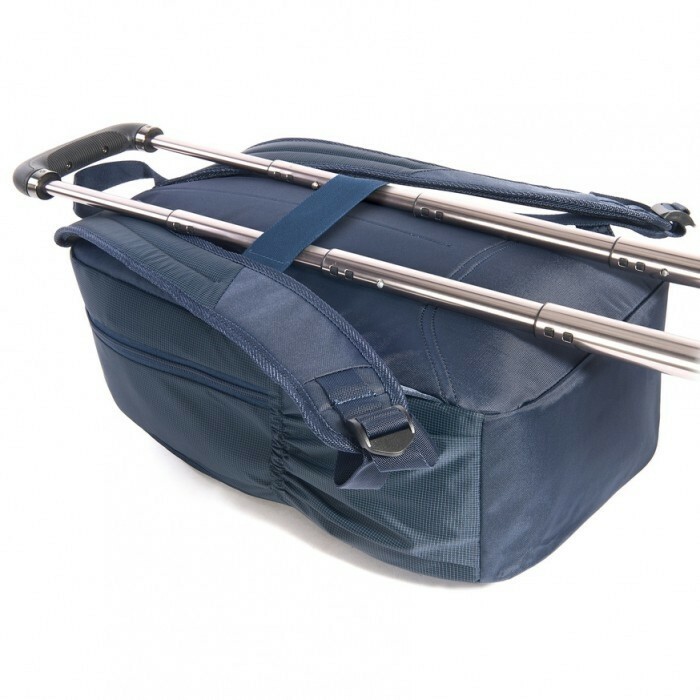 On the rear panel, is a useful band for trolley transport.